Visionary singer Susan Hale believes that early peoples deliberately built their structures to enhance natural vibrations. She takes us around the globe-from Stonehenge and New Grange to Gothic cathedrals and Tibetan stupas in New Mexico-to explore the acoustics of sacred places. But, she says, you don't have to go to the Taj Mahal: The sacred is all around us, and we are all sound chambers resonating with the One Song. 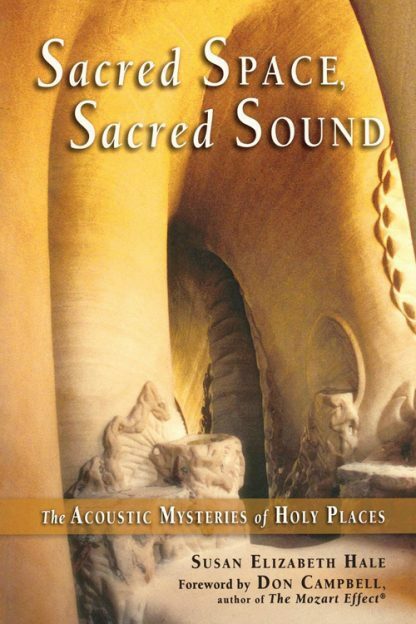 Susan Elizabeth Hale, MA is the author of Sacred Space Sacred Sound: The Acoustic Mysteries of Holy Places along with her first book Song and Silence: Voicing the Soul. Susan is the creator of Earth Day-Sing for the Trees, an annual global celebration every April 22. She lives in England where she communes with ancient trees and holy wells.